The Act was passed by both chambers on October 3 and on October 5, 2018, the Geospatial Data Act of 2018 (GDA) was signed into law by the President as part of the Federal Aviation Administration (FAA) Reauthorization Act (H.R. 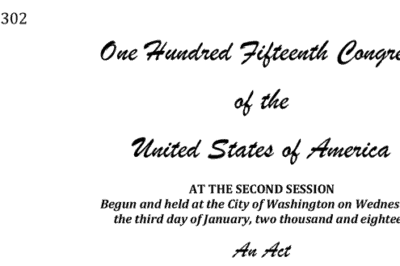 302) Subtitle F of Title VII. 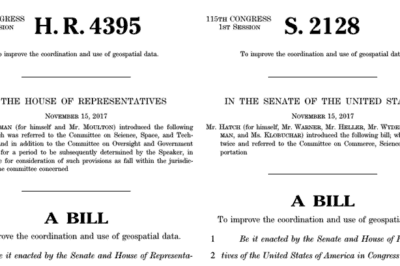 Geospatial Data Act of 2017 was released in both the House (H.R.4395) and Senate (S.2128). Is the Newly Revised Geospatial Data Act Worth Supporting? Anthony Calamito, Chief Geospatial Officer of Boundless, explains why Boundless stands behind the new Geospatial Data Act.